Elected to the Thirty-Sixth Parliament for Collie on 10 February 2001 in succession to Dr Hilda Margaret Turnbull (defeated). Electorate abolished in the redistribution of 2003. Elected to the Thirty-Seventh Parliament for Collie-Wellington (new seat) on 26 February 2005. Electorate abolished in the redistribution of 2007. 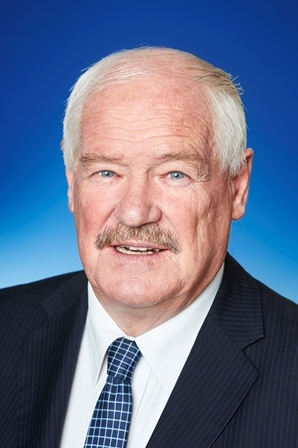 Elected to the Thirty-Eighth Parliament for Collie-Preston (new seat) on 6 September 2008. Re-elected 2013, 2017. Trustee Parliamentary Superannuation Fund from 1 August 2001 - 17 August 2008. Deputy Government Whip from 12 April 2001 to 29 March 2005. Parliamentary Secretary to the Minister for Tourism; Small Business; Sport and Recreation; Peel and the South West from 21 September 2004 to 26 February 2005. Parliamentary Secretary to the Minister for Local Government and Regional Development; Fisheries; the Kimberley, Pilbara and Gascoyne (with respect to Local Government and Regional Development only) from 2 March 2006 to 2 March 2007. Parliamentary Secretary to the Minister for Small Business; Peel and the South West; Minister assisting the Minister for Education and Training (with respect to Peel and the South West only) from 2 March 2006 to 2 March 2007. Parliamentary Secretary to the Minister for Regional Development from 2 March 2007 to 11 April 2007. Parliamentary Secretary to the Minister for Education and Training; South West (with respect to South West only) from 11 April 2007 to 23 September 2008. Minister for Seniors and Ageing; Volunteering; Sport and Recreation from 17 March 2017. Shadow Minister for Agriculture; Forestry; Racing and Gaming from 26 September 2008 to 27 January 2012. Shadow Minister for Sport and Recreation; Racing and Gaming; Forestry; South West; Great Southern; Goldfields-Esperance; Wheatbelt from 27 January 2012 to 9 April 2013. Shadow Minister for Regional Roads; Racing and Gaming; Forestry; South West from 9 April 2013 to 26 June 2015. Shadow Minister for Regional Roads; Racing and Gaming; Forestry; South West; Agriculture and Food from 26 June 2015 to 11 March 2017. Member, Economics and Industry Standing Committee from 30 May 2001 to 23 January 2005; and from 7 April 2005. Member, Joint Standing Committee on Delegated Legislation from 24 November 2005 to 8 March 2006. Member, Economics and Industry Standing Committee from 13 November 2008 to 30 January 2013. Member, Community Development and Justice Standing Committee from 9 May 2013 to 30 January 2017. Born 26 November 1949, Subiaco Western Australia. The electorate of Collie-Preston is located in the South West Region and includes all or parts of of the Shires of Capel, Collie, Dardanup, Donnybrook-Balingup, and Harvey. Comprising of all or parts of the localities of Allanson, Argyle, Australind, Balingup, Beelerup, Boyanup, Brazier, Brookhampton, Buckingham, Burekup, Capel, Capel River, Cardiff, Charley Creek, Collie, Collie Burn, Crooked Brook, Cundinup, Dardanup, Dardanup West, Donnybrook, Eaton, Elgin, Ferguson, Forrest Beach, Gelorup, Glen Mervyn, Gwindinup, Harris River, Henty, Kirup, Lowden, Ludlow, Lyalls Mill, Millbridge, Muja, Mullalyup, Mumballup, Mungalup, Newlands, Noggerup, North Boyanup, Palmer, Paradise, Paynedale, Peppermint Grove Beach, Picton East, Preston Settlement, Queenwood, Shotts, Southampton, Stirling Estate, Stratham, The Plains, Thomson Brook, Upper Capel, Waterloo, Wellington Forest, Wellington Mill, Wilga West, Worsley, Yabberup, and Yourdamung Lake. Enrolment (2017) 28,736; area 4,3444 sq kms.